Volkswagen's huge emission cheating scandal has already cost the carmaker about 16 billion euros. It's also costing its executives a big chunk of their pay. The company released its full year earnings on Friday, reporting a net loss of 5.5 billion euros ($6.2 billion) in 2015. Volkswagen Group (VLKAF) said it has now set aside 16.2 billion euros ($18.2 billion) to deal with the cost of the scandal. That's more than double what it originally anticipated. The company previously said it would need 6.7 billion euros to cope with the crisis. The company has also slashed its dividend to just 0.11 euro per share, from 4.86 euro last year. 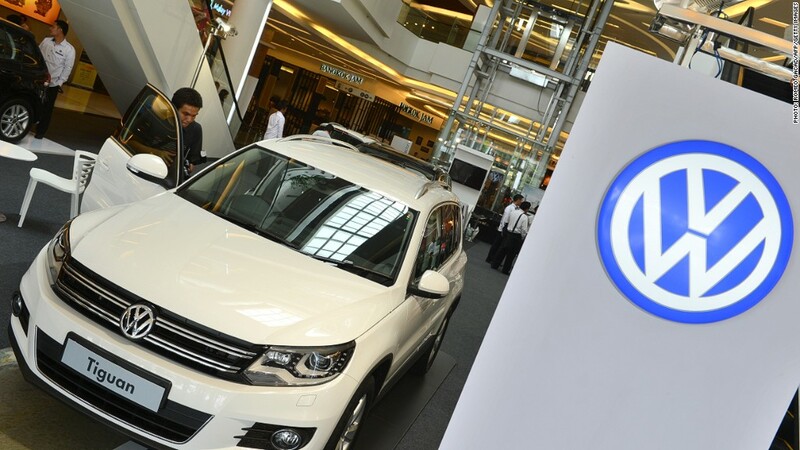 On top of the emission scandal, Volkswagen also reported a 2% decline in vehicle sales in 2015. It said it expects sales in 2016 to be on a level with 2015, amid "persistently challenging market conditions." The company also said it will not publish the findings of its investigation into the diesel scandal later this month, as originally announced. It said a disclosure of the interim results would "present unacceptable risks for Volkswagen." In a separate announcement, Volkswagen said it was cutting variable pay and bonuses for its top executives for several years. "The variable remuneration of an ordinary member of the board of management will fall by 39%," the company said in a statement. "This effect will also be felt over the next few years." Volkswagen first admitted to rigging engine emissions tests in America and Europe in September, later saying it fitted as many as 11 million diesel vehicles worldwide with software that could cheat nitrogen oxide emissions tests. The scandal has wiped out more than a quarter of Volkswagen's stock market value, and cost investors millions. The German carmaker announced a plan earlier this week to repurchase or fix nearly 500,000 diesel cars in the U.S., giving car owners the choice of what to do. -- Mark Thompson and Chris Liakos contributed to this article.